Good labels are the secret weapon in any organizing system. These sturdy wooden labels look beautiful, and won’t peel off the way sticky labels do. And when it’s time to reorganize, just wipe off the chalk and re-label! 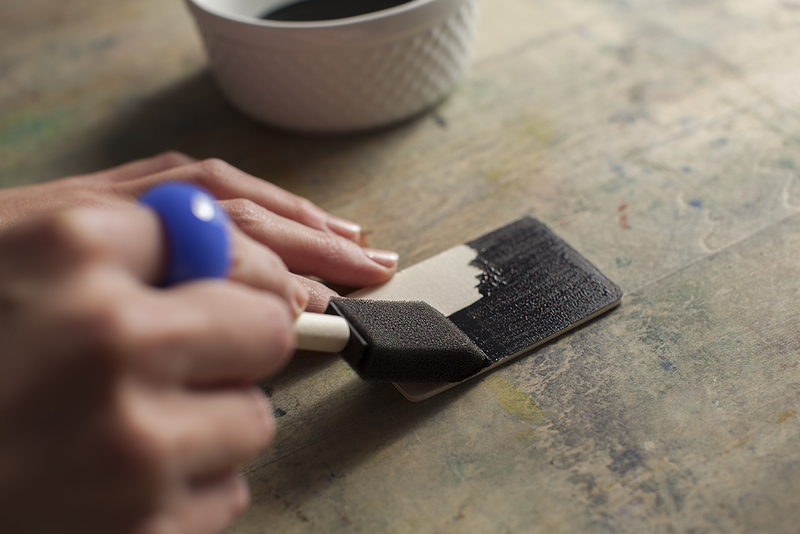 Cover your workspace and paint a coat of chalkboard paint over one side of each label. You’ll need to apply at least 3 coats of the chalkboard paint to get good coverage. Allow the pain to dry between each coat. When the paint is fully dry, measure the back of each rectangle and maker where you want the holes. (The two holes I drilled are about a quarter of an inch in from the short sides.) To drill, place each rectangle onto a piece of scrap wood with the unpainted side facing up. Use a small drill bit, and drill slowly to avoid cracking the wood. Flip the rectangles over, and write on the label with a chalkboard marker. You can use chalk of course, but it’s easier to be precise with a maker. Tie a piece twine into each hole. 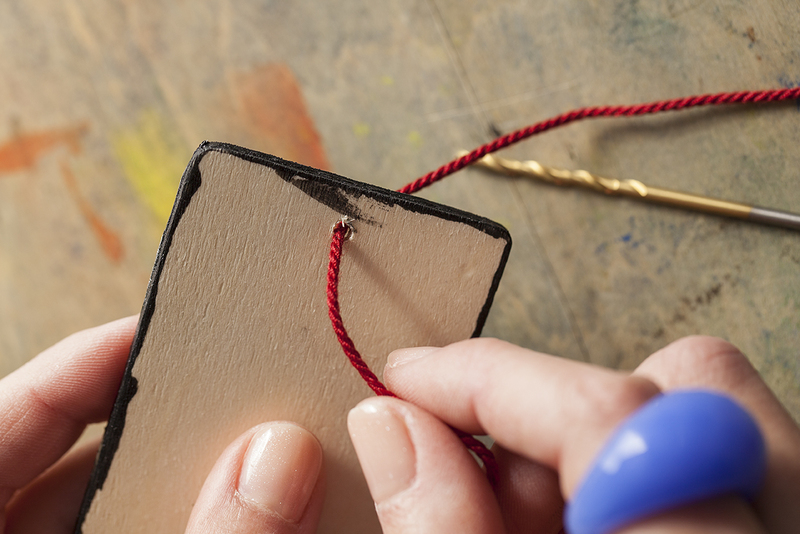 If you have trouble getting the twice to go through, use a toothpick or a small drill bit to push it through. 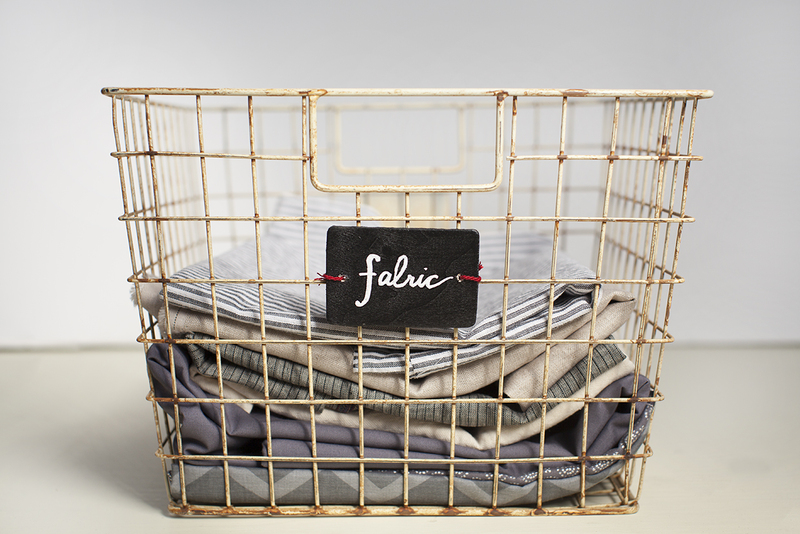 Finally, tie each label onto a basket. Happy organizing! 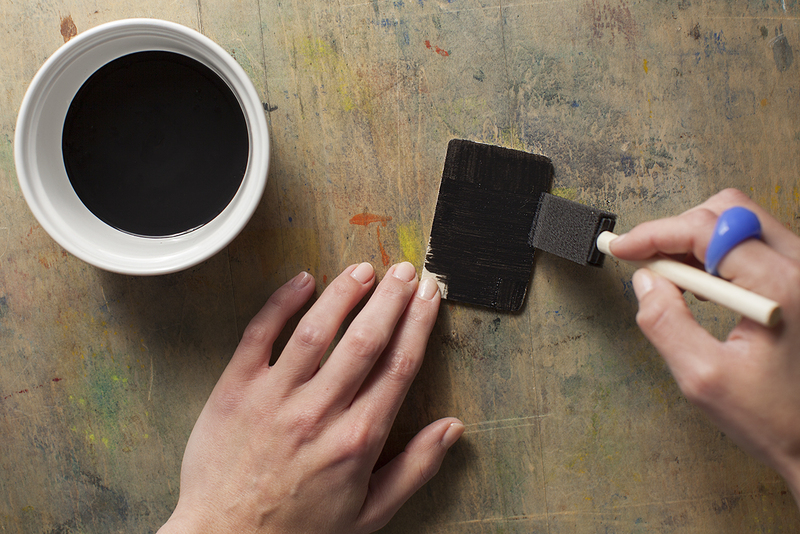 Paint a rectangle with at least 3 coats of chalkboard paint; allow to dry between each coat. When dry, flip the rectangle over and mark a quarter inch in from each short side. 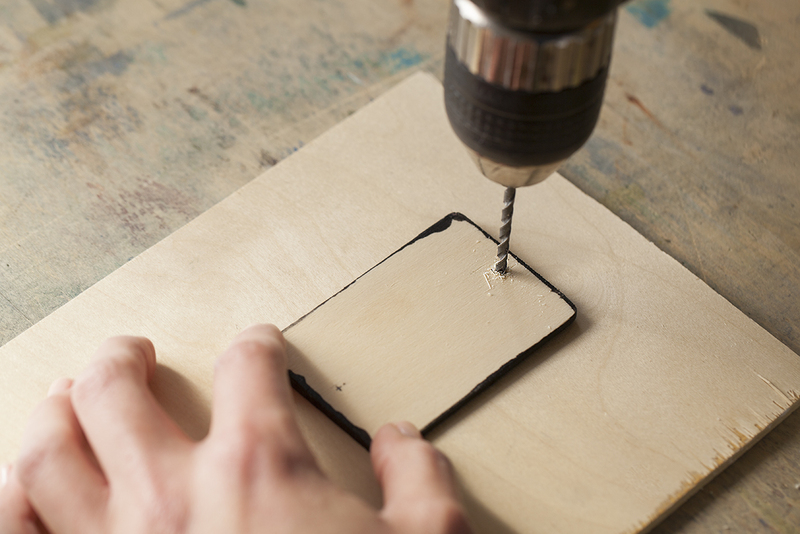 Place the rectangle chalkboard side down on a piece of scrap wood and drill the holes you marked. 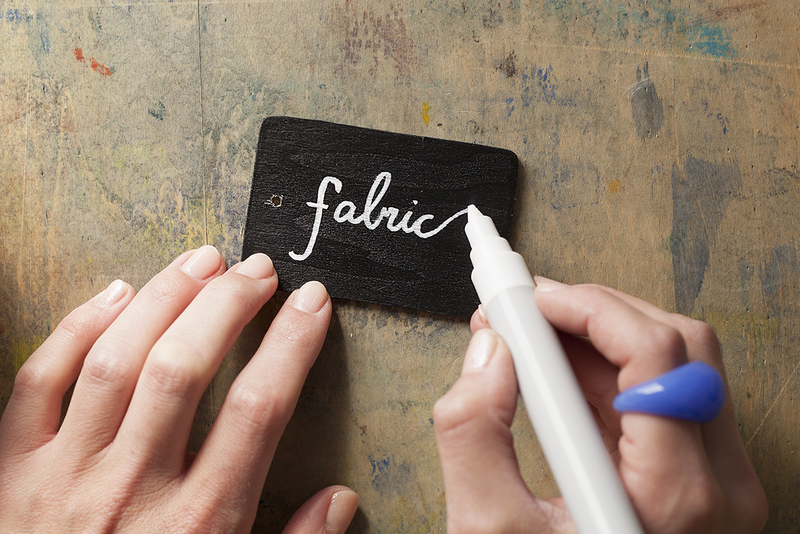 Write on the label with a chalkboard marker. 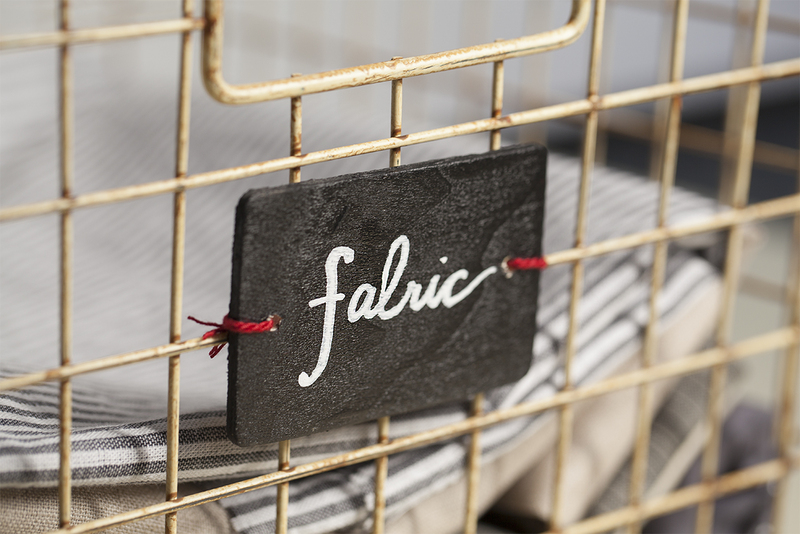 Tie a piece of twin into each hole, then tie the label onto a basket.